Shopping for a home before getting preapproved for a mortgage is the equivalent of walking into a grocery store without a wallet. Yet, many homebuyers don’t get a loan preapproval before the house hunt. So, what is a preapproval? For one, a preapproval is different from a prequalification. 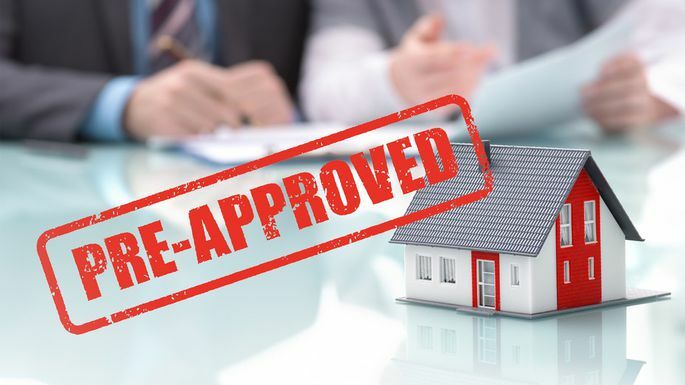 Preapproval: The lender verifies the borrower’s information and documentation to determine exactly how much it would be willing to lend to that borrower. Prequalification: The lender relies on information provided by the buyer to estimate how much the borrower could qualify for. “The documents to get preapproved are the same documents that you would need to get a mortgage,” says Jordan Roth, mortgage specialist with Guardhill Financial Corp. in Glen Rock, New Jersey. Last two federal tax returns. Two months’ worth of bank statements of all types of accounts. A preapproval is not a loan commitment, but it helps speed up the underwriting and loan approval process, Roth says. Here are three reasons it’s better to get a mortgage preapproval before you go house hunting. Buyers often are eager to start looking at homes and tend to leave what they view as the boring, bureaucratic part of the homebuying process for last, says Michael Highfield, professor of finance and head of Mississippi State University’s department of finance and economics. “But in this competitive market, any serious buyer should pursue a preapproval from a lender in advance to beginning a home search,” he says. Real estate and loan professionals say it’s common to come across buyers who skip the preapproval process. As with many other agents and sellers, Da Silva says she rejects offers from buyers who don’t have preapproval letters from their banks. “You have to have a preapproval and it must be a real preapproval where the lender has verified not just your credit, but bank statements, tax returns — and I call the lender to verify that,” she says. Some buyers put off the loan application because they fear a lender may not approve them for the amount they plan to spend to buy the house, Highfield says. Others simply don’t want to share an abundance of private information with a lender until they actually find the home they want, he says. Even if you pay your bills on time and earn about the same as the friend who just got that $300,000 mortgage, don’t assume you qualify for the same loan. “A credit score difference of 700 to 680 can severely affect one’s ability in terms of down payment,” Roth says. Getting preapproved before you shop for a loan also allows buyers time to fix unexpected errors on their credit reports.